The bruises are finally disappearing, the bumps and swells are subsiding, and even the vicious mosquito bites are miraculously going away. I confess it was rather entertaining examining all the new bruises, scratches and swells every night, it was like collecting exquisite graffiti on my body. All that remains of Xterra Malaysia (and the journey to) is the mark where the chainring teeth sunk deep into my calves — and a lifetime of warm memories and unforgettable lessons. 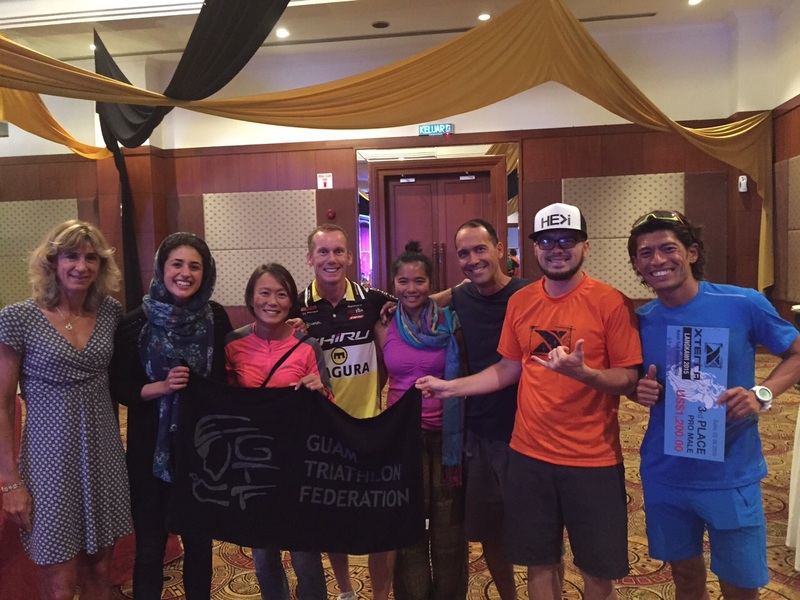 I rocked up to Langkawi, Malaysia four days before the off-road triathlon race. I mean, how hard could it be?! I’d spent a month training on a mountain bike with Jean Pierre, had had a semi-successful attempt on a mountain bike in Iran, (admittedly mostly spent pedalling on tarmac)… And I had given myself a few days to go around the bike course to familiarise myself with it. Surely I was all set and ready for Xterra Malaysia?! The event organisers had kindly arranged for me to borrow someone’s mountain bike for the race. My beloved Dorothy (my roadie) simply can’t deal with anything but tarmac. I collected the bike first thing in the morning and set off… I put the first kilometre and a half behind me. There were roots, rocks and streams which I cautiously walked over, and thought: it isn’t all that bad. To my relief, Ray and Elsa finally left me on my own and I managed to ‘roll’ down to a road, coated in mud and blood. Exhausted, and out of food and water, I followed the road back to the hotel. I had covered 5km in 1 hour 45min. As always, thanks to Paula’s ability to make me see things through a clearer lens, I actually made it to the race start. Granted, the other elites were miles ahead of me before the sound of the gun had even had the chance to disperse in the environment, but I was actually surprised at how I performed. It’s a satisfactory feeling to look back and see the progress made: I raced over obstacles that petrified me two months ago without a second thought. I completed a course that seemed beyond my imagination and capacity a year prior. Let’s face it: I managed to stay on the bike throughout most of the course, something I had been incapable of just a few days before! After the race, Belinda, one of the pros, radiating her usual beautiful and genuine smile exclaimed: ‘you never stop smiling!’ Next to her, Dimity and Renata were radiating the same contagious smile. ’But it’s because you’re always smiling!’ I said. I was merely (and subconsciously) reflecting the heartfelt smiles and kindness everyone was showering on me. The encouragements, positivity, and the general beautiful attitude of all the amazing superheroes I was so fortunate to meet at the event was truly humbling. I owe the fact that I ended up racing, as hard as I was trying to convince myself to withdraw, to two things. One, because I have a slightly stubborn streak. But the second, and most important reason is because of the incredible people who manifest themselves in my life. I am only that ordinary girl who manages to land herself into mischief a lot of the time. But it’s all about the untold stories of the incredible support of friends, family, and athletes who have always been my prime motivators to pursue my dreams. It’s their love, inspiration and contagious passion that constantly help me to think positive and to dream big. As two of the wonderful event organisers, Sean Chee and Dave Spence, taught me in words and by their actions: “It’s about appreciating, embracing and immersing ourselves in mother nature… it’s about living more.” I can only hope that at the very least, I could one day show my gratitude to all these wonderful people by passing on what they have bestowed on my life to others. By now the aches and bruises are long forgotten, but the memories of Xterra will bring a smile to my face for years to come, and its lessons will remain with me for a lifetime. The lesson that I shouldn’t underestimate my mind and body. I should never give up from fear of failure before even trying. That through positive thinking and focus, the unattainable becomes attainable. That I am so fortunate to be able to look up towards such amazing human beings for inspiration. Will I do it again? Now that I’ve taken the first wobbly steps towards completing an Xterra, I would quite like to become more confident, capable and stronger. Far too ambitious, I know! But I wonder if focus, hard work, and a streak of stubbornness pays off? By shirintri in Uncategorized on June 14, 2015 . 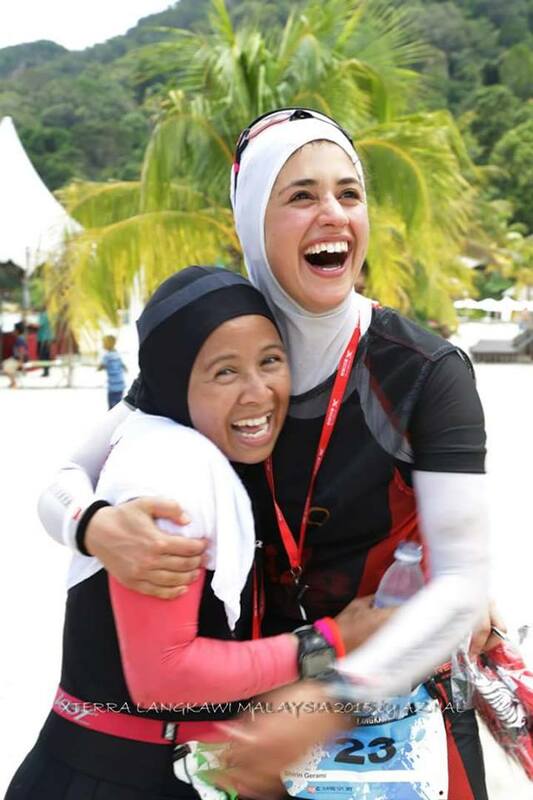 Reasons to swim, to bike, to run… to breathe. Ironman Kona: Is Anything Possible? To Blog? Or not to Blog?